"The Jane Sews aesthetic is inspired by timeless femininity, a fascination with global trends, and an eye for fine construction. High quality, natural fabrics are used throughout the ranges, and close attention is paid to detail and finish. The label offers a limited line of easy-to-wear and charming pieces that celebrate the female form." 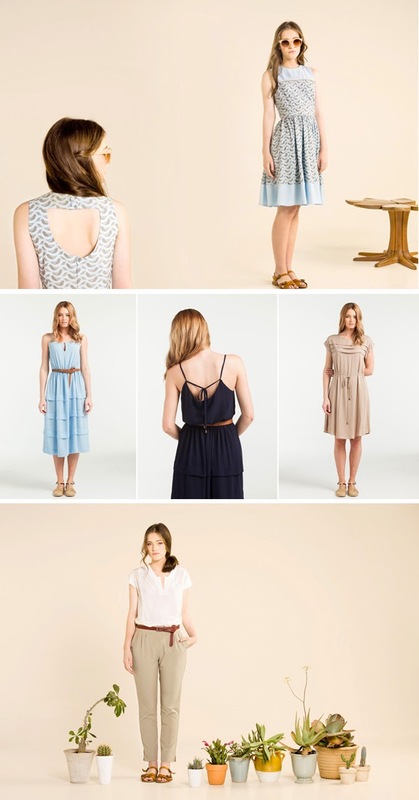 You can buy items from the Spring/Summer 2013 collection from the Jane Sews online store and while you are there, take a look at their past looks books. We're so excited about this brand and even more so because it's local!